Winter is in full swing right about now. Depending on where you live, the roads are slushy or there’s snow everywhere. Having a hard time remembering why you anxiously awaited winter a few months ago? Here are 10 things to remind you why winter is awesome! In warmer weather, you have to choose between your favorite garments because if you wear them all, you would turn into a puddle of sweat. But during the cold months of winter, you can wear your favorite top, cardigan, scarf, hat, boots and whatever else you want to layer on. 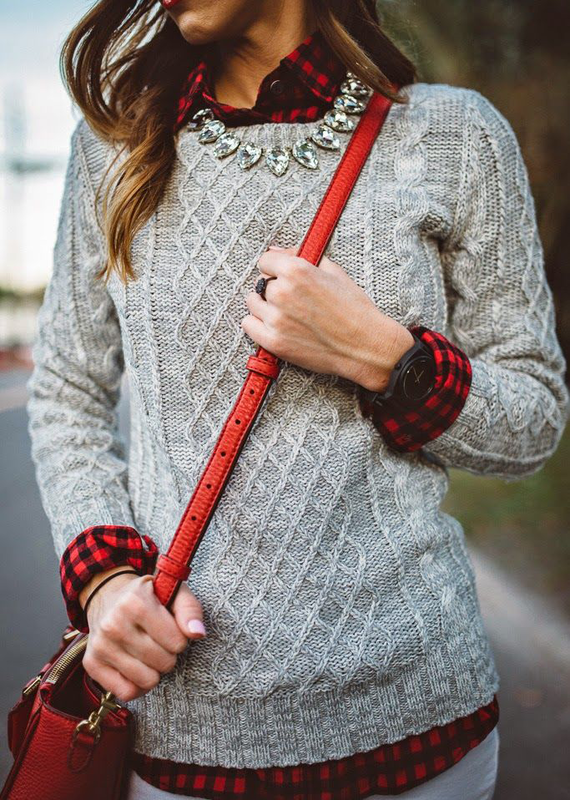 The layers keep you cozy and stylish. Wrap yourself up in a comfy blanket and a good book. Add a cup of your favorite hot beverage, and you have yourself a relaxing evening. Whether you’re an e-reader fan or love the feel of a good old-fashioned book, check out this book challenge by Popsugar. If you complete it by the end of the year, you’ll have read 52 books in 2015! From big pom poms to bejeweled beanies, we’ll wear anything to stay warm. There’s no better way to prevent frozen ears and give your winter style an edgier look than with a beanie. Whether you go for a fitted style or extra slouch, find a hat that you love and rock it this season. During the summer and spring, it’s easy to feel guilty for staying in when it’s warm and sunny outside. 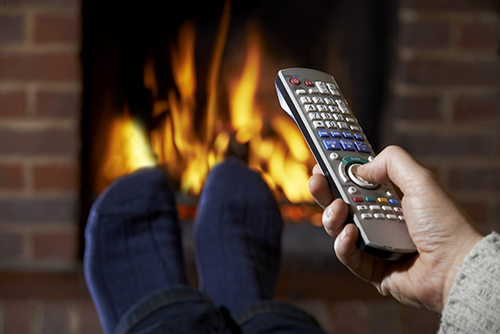 But when it’s cold outside, feel free to stay inside with comfortable pajamas and your favorite television shows. Did you know that Friends is now available on Netflix? You’re welcome. Scarves are already the perfect winter accessories, but faux fur scarves add that extra touch to any ensemble. They are versatile and add class and glam to even the simplest of outfits. Offered in various colors, styles and lengths, faux fur scarves are easy to match with any look. Looking to add this trendy piece to your closet at a great price? 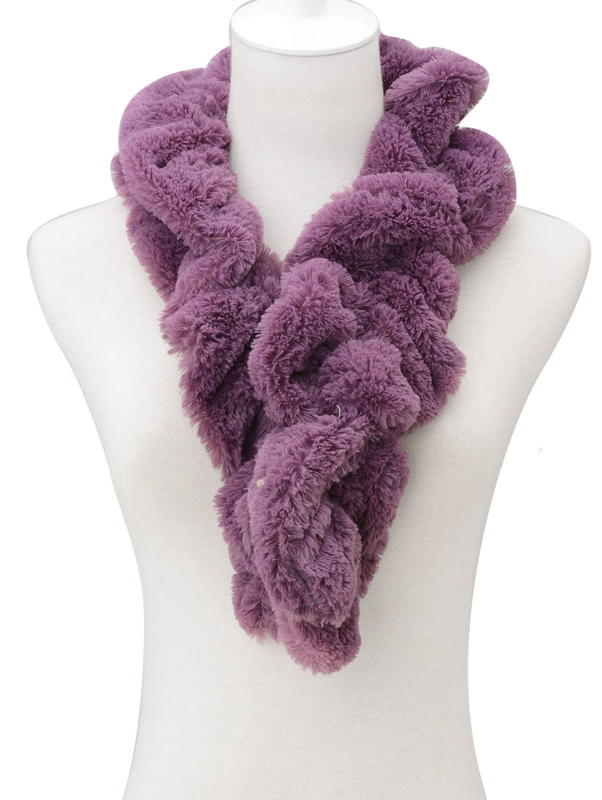 Check out our Audrey Purple Faux Fur Stole and fall in love! And when we say blankets, we actually mean the latest coat trends—ponchos and capes. Any variations of these blanket-inspired coats and overcoats are absolutely IN this season and make a great transitional piece. Pair a tailored cape or poncho with long gloves for a truly runway-ready look. No, you don’t have to go back to 7th grade geometry class. Instead, look forward to stylish handbags and jewelry featuring geometric patterns. These designs are eye-catching and will make a big impact on the fashion scene throughout 2015. If you thought statement jewelry was going to be left in 2014, you were mistaken. 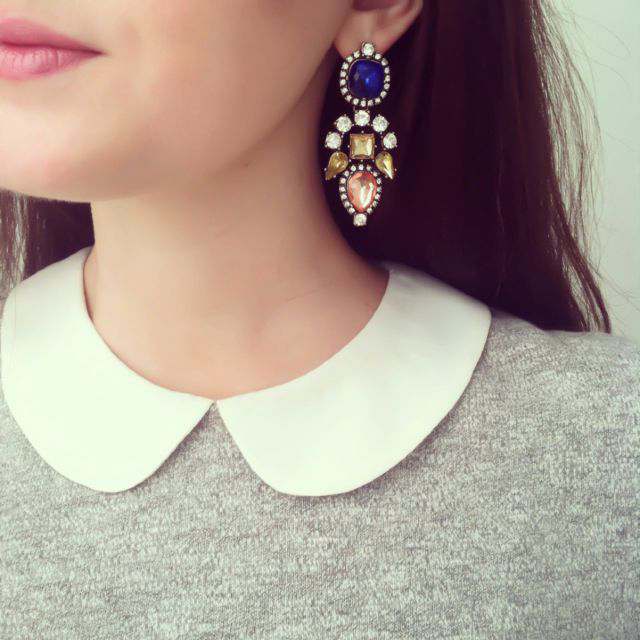 Although chunky necklaces and bangles are still very in, earrings have decided to join the party. Think of all the ways you can dress up a toneless office look and draw attention back to your lovely face. Subscribe to the blog to be the first to read our Trendspotter post about this glamorous trend next month! 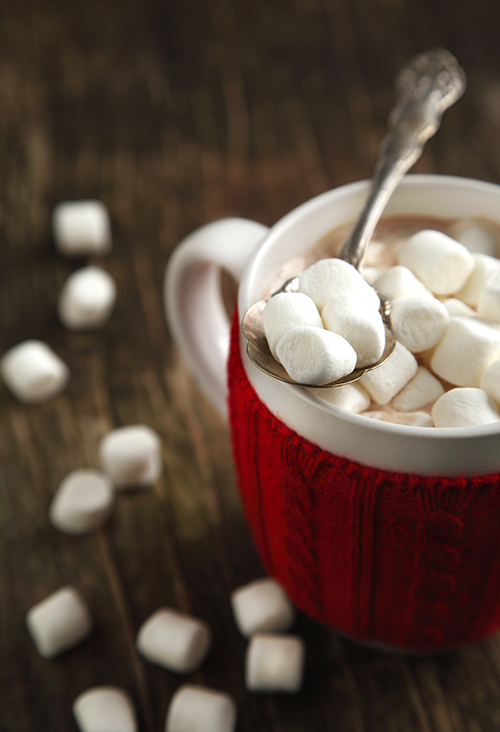 A cup of sweet, hot cocoa doesn’t need an explanation. Want to put a twist on this classic winter beverage? Here are some decadent recipes from Yummly! Want to look fabulous this season, but not spend a fortune? Tune into our Rising Auction every day to get unbeatable deals on the latest trends. Prices starting at just a dollar!